#njdesigns Archives - Design Alternatives Inc.
Good commercial interior design encourages guests, residents, and potential customers, or whomever your target market may be, to learn more about your business. No matter what, it is important to make your commercial establishment stand out. In order to do this, you must be open to keeping things fresh and re-visiting your design inspiration from time to time. Most importantly, think about good commercial interior design as an opportunity to tell your brand’s story. As one of New Jersey’s top commercial interior design firms, Design Alternatives founder Carrie Fusella is sharing some important design considerations when it comes to evaluating whether your commercial space match’s your brand’s identity and how to know when it is time for a new look. Many times, property managers or facility owners can get complacent in how interior design is affecting their space. Dated finishes, old or sometimes damaged furniture, and worn-out pieces are important indications that it is time for a revamp or renovation. These items, in particular, can make it look like the facility doesn’t care about the space or the people living or working in it. The best spaces speak to a brand’s overall ethos while also being a representation of the people they serve or the community that lives there. Impactful commercial interior design should be a projection of the company’s brand standards and values coupled with a high regard for capturing the spirit of your clients and the true essence of the space. If you look around your space and feel it looks dated, it probably is. Don’t be afraid to take a step back, evaluate the space as a whole, and discuss with a professional what can be improved upon and evolved to better represent your brand, and meet current design standards and facility needs. Great commercial interior design is a balance between form and function. As a building gets older, its intended use may change. Or, the population may have grown and there is a new need to re-evaluate how the space is used. Design Alternatives always addresses the function of the building, in addition to its overall appearance. This requires having a master plan that clearly outlines the affordability and feasibility of the project and then addresses the design themes to integrate into the overall aesthetic. Further, your commercial interior design firm should always give you options when it comes to functionality and affordability. The possibilities when it comes to commercial interior design renovations can be endless. It is wise to approach every project with a plan A, B and C in terms of pricing that can address immediate and long-term needs and determine the overall scope of the project. From there, your master plan can inform how you stage a space, whether you move walls, or update a facility’s living areas. “Less is more” is minimalism’s mantra: a very popular style that is based on introducing the least number of design elements and preserving space. It is also the hallmark of timeless design. To embrace this design philosophy, think about the bones of the building and focus on updating accessories and finishes that reflect design-cycle trends while maintaining the overall integrity of the space. Yes, current trends are important to consider, but you should also think about the longevity of your brand and the longevity of the space. Jumping on the latest and greatest design trend doesn’t always mean they will stand the test of time. The industry also plays a factor. 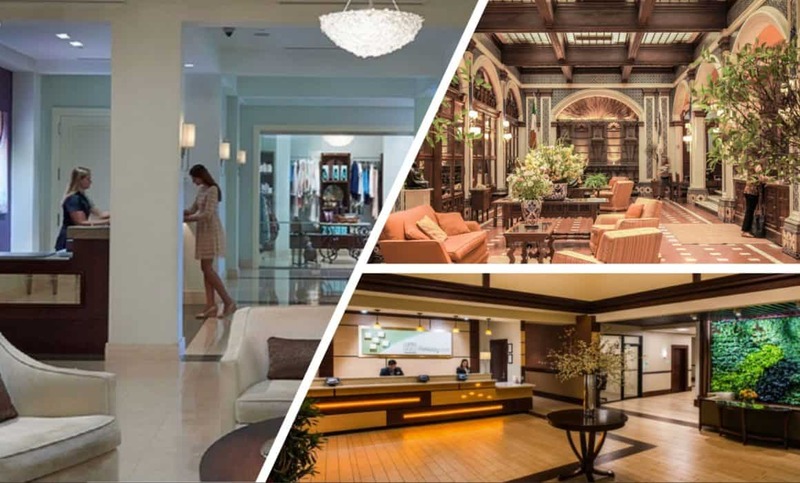 For example, the design cycle in the hospitality industry is every seven years, plus or minus, while some corporate offices mandate a re-vamp every seven to 10 years. Senior living facilities can sometimes go as long as 12 to 15 years before they really need a renovation to enhance the allure and profitability of a community. Dependent on who or what you are designing for, you can make important commercial interior design enhancements while maintaining the overall integrity of the space and its intended use. This means not always turning to the hottest design trends but thinking about efficiency, longevity and overall use, and creating a design plan from there. Remember, minimalist decor is defined by the simplicity and elegance of its forms, so it should be clean and generate harmony between all the parts that comprise the space. 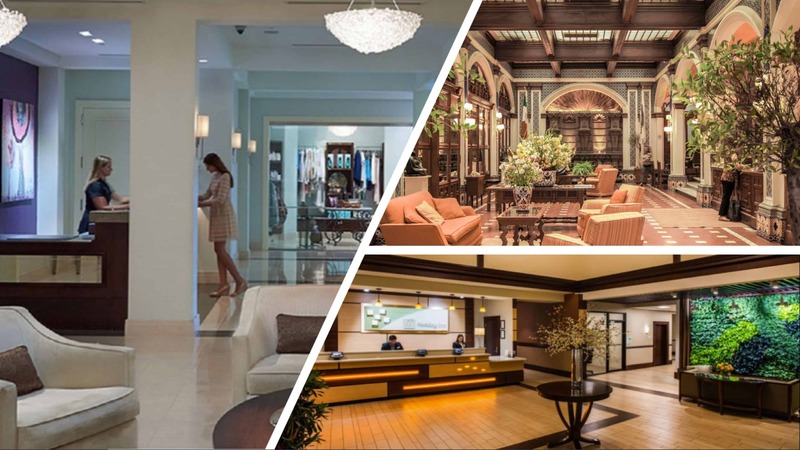 Whether it be a boutique hotel, a special-event ballroom or a senior living facility or clubhouse, it is important to create a warm and welcoming environment. This is achieved by really honing in on the standard you are looking to create and selecting a commercial interior design partner that can help get you there. This also means the aesthetics need to be both beautiful and elegant, while also strategically applied to fit the needs of the space – including its residents, guests, and workforce. For example, if you are renovating a senior-living facility, open floor plans, wide hallways, and familiar spaces for elder residents are all important needs that should be considered. This layout isn’t the only design aspect that contributes to the atmosphere of the facility, however. When designing for a senior environment, it’s not just about what the interior designer likes, it’s about what will make the residents comfortable and help them navigate the space. This can often mean ignoring trends popular in other environments or industries. Browns, for example, are popular in private residences, but they can turn to black for an older eye. This is only one of the considerations a commercial interior design firm needs to think about when designing for specific audiences like the elder community. Brand guidelines determine how the elements that make up your brand are used and fundamentally dictate how your business communicates with your intended target market. They are a set of rules to create a unified identity when connecting multiple elements within your brand, including but not limited to color palettes, logos and typography. A brand’s look and feel is what sets it apart from its competition. In a competitive industry like travel and hospitality, incorporating brand standards into regional design aesthetics is a must. For example, a hotel chain will not tell a Florida facility that they have to have the exact same look and feel of a sister venue in Minneapolis. While the overall brand is the same, the regional needs and anticipated uses for the space are different. This is why it is essential that you work with a commercial interior design firm that can develop a public space that fits the region and supports the overall brand aesthetic. In other instances, brand standards for a single-venue client may not exist. This is when firms like Design Alternatives collaborate with clients to create one. This includes defining the look, feel, and overall quality to create a design standard that can be referenced and implemented for years to come. To learn more about Design Alternatives, or view our recent work, please visit our portfolio page.